When you think about our national parks, Saguaro (wiki, nps) probably isn’t the first thing that comes to mind. Unless you live in Tucson, Arizona, since the park straddles the city. Established in 1933 as a National Monument, and upgraded in 1994 to a National Park, Saguaro was formed to protect its namesake – the Saguaro Cactus (Carnegiea gigantea). Pronounced Sa-WAH-ro, the cacti grow very slowly, but can get as tall as 40 feet and live for more than 150 years. 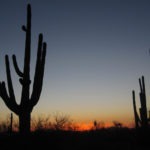 While the Saguaro cacti are the main draw for some visitors, there are other ecosystems to explore. And you can enjoy sightseeing, autotouring, hiking, backpacking, and horseback riding within the park. We would spend a week in the park, focusing on hiking and backpacking. The park contains two geographically separate districts: The Tucson Mountain District (west) and Rincon Mountain District (east). The city of Tucson lies in between them. It can take as little as 30 minutes to drive from one district to the other, depending where you are, of course. 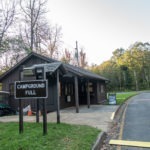 Both sides have a visitor center, numerous hiking trails, and other outdoor opportunities. Tucson Mountain District (West) – Smaller than the east side, the Tucson Mountain District has a variety of trails that crisscross the park. Day hiking only on this side – there is no backcountry camping. 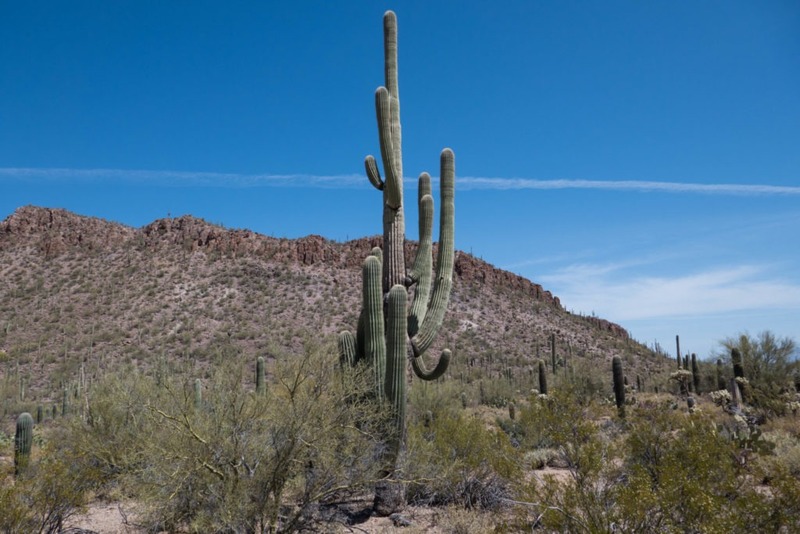 Comparatively to the east, the west side features more Saguaro cacti and lower elevation. South of this district is a county park: Tucson Mountain Park. Try not to confuse the two since they have similar names! Rincon Mountain District (East) – Larger than the west side, the Rincon District offers backcountry options, and a well-maintained trail network. You can hike from a low elevation of 2,750 feet at Douglas Spring to a high elevation of 8,000 feet at Manning Camp, and visit a variety of areas that most visitors don’t get to see. The Arizona Trail also goes through this district. We spent more time on this side since there’s more to do, it covers a larger area, and (bonus!) it’s cooler at higher elevation. This is the original part of Saguaro National Park; the Tucson Mountain District was added later. There are no lodges or hotels inside the park, but each district has hotel options close by. We would stay at a couple hotels over the course of our trip, in between camping or backpacking. We need to shower sometimes. Sleeping in a comfortable bed doesn’t hurt, either. Similarly, there are no developed campgrounds inside either district of the park. 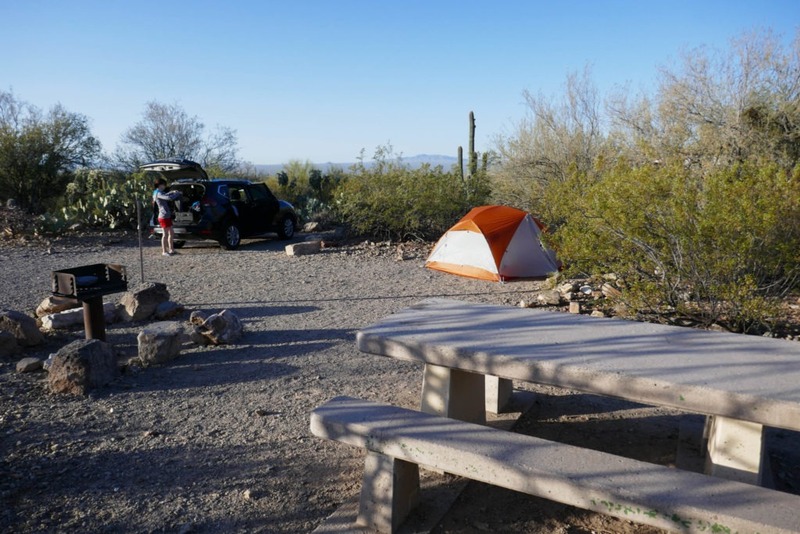 Luckily, Tucson Mountain Park is home to Gilbert Ray Campground, just 3 miles south of the Tucson Mountain District. The campsites primarily accommodate RVs, but they have some tent only sites. We stayed two nights in the campground (in a tent). We really appreciated its peacefulness, unique flora and fauna, as well as mountain views. Saguaros were in our backyard at Gilbert Ray. 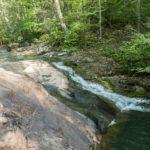 Douglas Spring – 4,800 feet elevation. 3 sites. Located along the Douglas Spring Trail. Has a nearby spring. Grass Shack – 5,300 feet elevation. 3 sites. Located along the Manning Camp Trail. Has a nearby spring. Juniper Basin – 6,000 feet elevation. 3 sites. Located along the Tanque Verde Trail. Happy Valley – 6,200 feet elevation. 3 sites. Located on the Heartbreak Ridge Trail. Spud Rock – 7,400 feet elevation. 3 sites. Located on the East Slope Trail / Deerhead Spring Trail. Has a nearby spring. Manning Camp – 8,000 feet elevation. 6 sites. Located on the Manning Camp Trail. Year-round water source from a stream/spring. 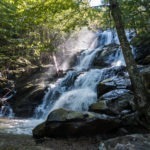 As mentioned above, there are plenty of activities to do in the park, but these primarily include sightseeing, autotouring, hiking, backpacking, and horseback riding. Our trip would focus on hiking and backpacking, with some sightseeing and autotouring on the side. Both districts boast many trails, but there are more miles of trails in the Rincon District. 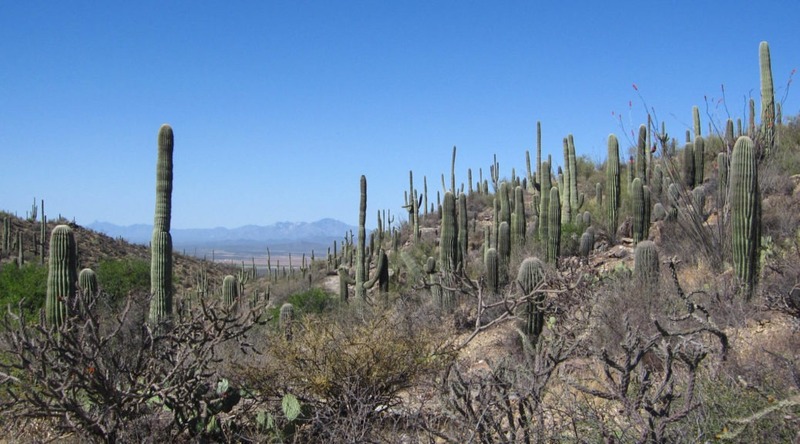 Most day hikes are in a desert environment, surrounded by saguaros and other desert plants. Often, these trails go through a wash (intermittent stream bed). 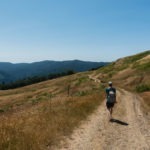 We were excited to backpack in the Rincon Mountain District; fewer people visit this area, and we knew it would be very different from the cactus forest. You can hike up to higher elevations with conifer and Douglas fir forests, something we didn’t associate with Saguaro National Park before we visited. 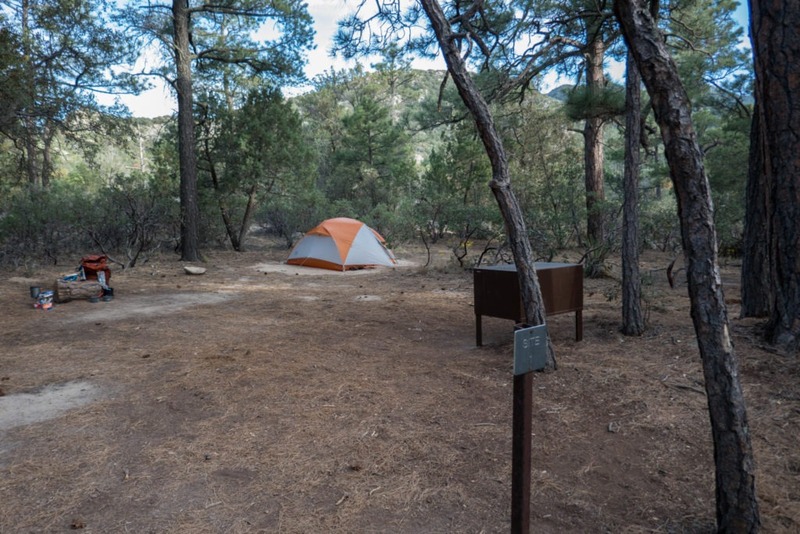 Dispersed camping is prohibited, but you can plan your trip around the 6 backcountry campgrounds mentioned above. Our goal was to reach Manning Camp, since it’s located at the highest elevation, and has a reliable water source. This would allow us to do a 2 night, 3 day trip without breaking our backs. The park maintains a concise but useful wilderness area guide that includes information about each backcountry campground, trip planning, wildlife, and a basic map of the Rincon Mountain District. Saguaro has a multitude of wildlife – you won’t always seem them, but they’re there, especially at certain times of the day. We saw an many lizards, as well as a coyote, woodpeckers, a rattlesnake, turkeys, and other birds. 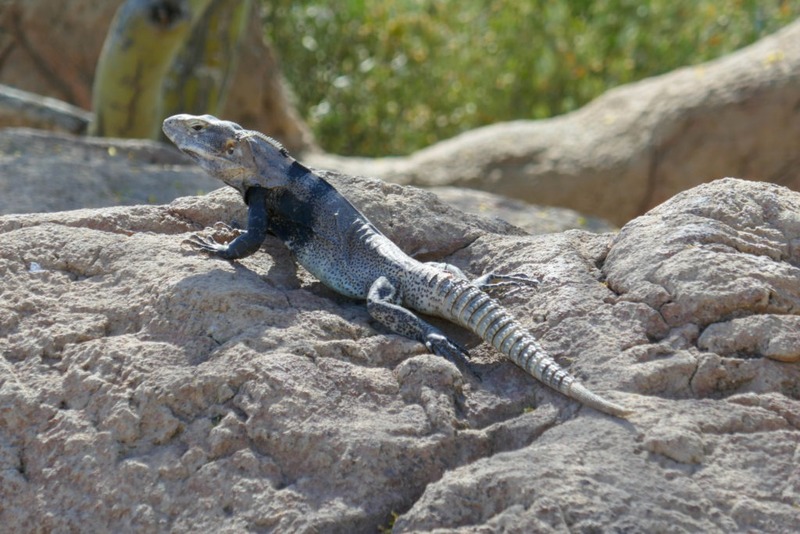 To get an idea of what wildlife you might encounter in the desert, we recommend checking out the Arizona-Sonora Desert Museum, which is in Tucson Mountain Park, just south of Saguaro’s Tucson Mountain District. This was the first real stop on our trip, since we wanted to know what we were getting into! Saguaro NP is a desert park, so the climate is quite different compared with Shenandoah, our “home park.” We visited Saguaro in late April, and we had mainly mid-80 degree days. Late fall to early spring is the best time to visit, since you’ll have mild temperatures and little rain. I’m partial to the spring when you’ll see a variety of wildflowers. And Saguaro typically start flowering in late April. The summer (July to September) features very high temperatures, with abundant rain in the form of monsoons. For those reasons, we decided to avoid visiting during the summer. If you plan to see Manning Camp (8000′), the temperatures there differ quite a bit from the lower elevation Sonoran Desert (3000′). We brought jackets for our visit! On average, it will be around 20 degrees cooler at Manning Camp. Note: Manning Camp Station did not have any precipitation data. This is not a heavily traveled National Park, but the number of visitors is increasing. There’s a lot to see and do here – more than you might expect. There are plenty of people on the roads and at viewpoints. But get on the trails, and you may not see many people (at least we didn’t in April). On our two-night backpacking trip, we didn’t see a single person. Even so, April is the 3rd highest-visited month. Tucson International Airport is right in between Saguaro’s two districts, so we flew directly into the city. Flying into Phoenix and driving around 2 hours to the park is another option. Saguaro NP doesn’t have a bus system or similar public transportation. If you have a car, you can visit pretty much anything. 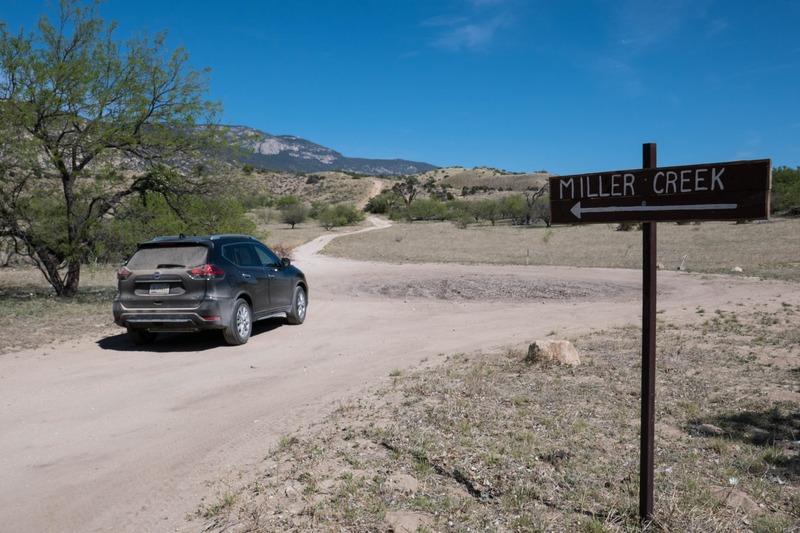 A couple backcountry trailheads require four wheel drive, but we did just fine without. Each Saguaro district has paved and unpaved roads that will get you around the park. We recommend a car with a higher clearance if you plan to drive on unpaved roads. As is our usual modus operandi, we bought the National Geographic Trail Map for Saguaro. It’s accurate, and we highly recommend it. The national park also maintains some trail maps that were helpful, mostly with the cactus forest section in the Rincon Mountain District. We’ll also provide maps we created for specific trails on each Saguaro blog post. There are two Visitor Centers, one in each district. The Red Hills Visitor Center is in the Tucson Mountain (West) district. It has the usual educational displays, gift shop, restrooms, and water fountain. This visitor center also plays a 15 minute video about the park every 30 minutes, which we highly recommend. There’s also a very nice Saguaro cactus forest right behind the visitor center. 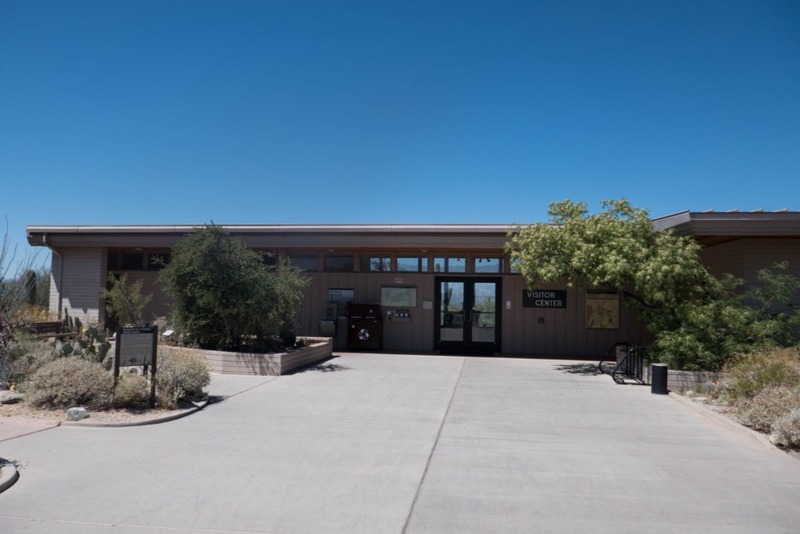 The Rincon District (East) has the aptly-named Rincon Mountain Visitor Center. It’s very similar to Red Hills, but it has different displays and lacks the video. Various Ranger Programs are also offered at each visitor center. We would attend a Star Party program at the Rincon Visitor Center, which we greatly enjoyed. Payment is different depending on what district you’re in, and where you are in the district. For the Tucson Mountain District, you can pay the $15/vehicle fee at the Red Hills Visitor Center. The Rincon Mountain District has a booth after the visitor center where you can stop to pay your entry fee. As with other National Parks, a one-time payment gets you a 7-day pass. We decided to explore the west side of Saguaro first. Then we would go into the east side, so we could work our way up to the 3 day backpacking trip we had planned. Below is our overall itinerary; our other blog posts detail the adventures we had on our trip. We didn’t really know what to expect with Saguaro, aside from well… saguaros. It turns out that Saguaro National Park is much more than cacti, and it surprised us around every turn. This was the first time we traveled via airplane with our backpacking backpacks. We have two carry bags from REI, to hold our backpacks (loaded with gear like trekking poles, quilt, etc. ), which we checked. We brought suitcases as our carry-ons, and our personal items were our daypacks. This worked out well, and we’ll probably do the same thing next time we fly. One thing I would recommend is to bring a water bladder for each traveler, as it can accommodate much more water than bottles. Layered clothing options are also ideal for larger temperature swings throughout the day, especially if you’re going to go up to Manning Camp. There’s more info about planning specific excursions in the posts below. I hope they help you plan your trip, inspire you to travel, or at least provide interesting reading material.